TIJUANA, Mexico—María Luisa Cáceres went to the El Chaparral border area in Tijuana on Nov. 25 to check the status of her asylum number. It was there, at a makeshift registration tent a week earlier, that she was given number 1,537. 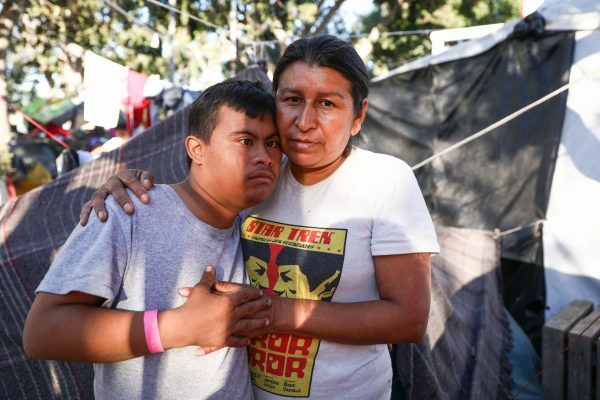 The group organizing the asylum numbers is Pueblo Sin Fronteras (“People Without Borders”), an open-borders group that has supported several caravans of Central American migrants attempting to gain asylum in the United States. The group writes the names of asylum-seekers in its book—each number is assigned 10 names—and when a number is called, that’s the day those people enter the pedestrian crossing into the United States and claim asylum. They have recorded more than 11,000 names since March. U.S. Customs and Border Protection processes around 100 asylum claims per day at El Chaparral. 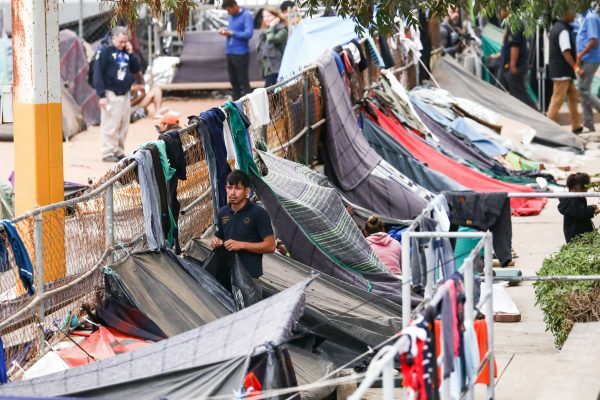 It seems to be a well-oiled asylum machine, with NGOs such as Los Angeles-based Al Otro Lado (“To the other side”) going into the camp to advise migrants on the process and how to deal with certain questions. 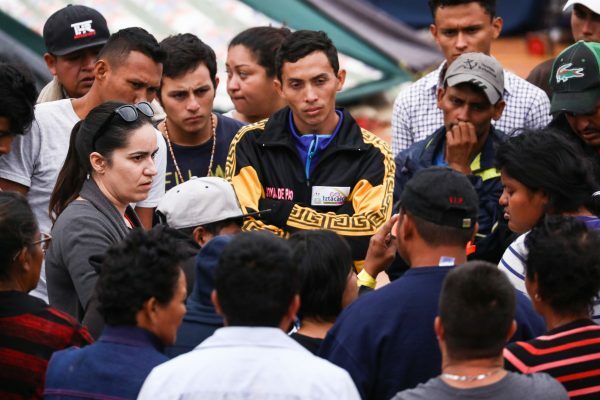 The organization’s litigation director, Erika Pinheiro, was giving advice over a loudspeaker at the migrant camp at the Benito Juarez sports complex on Nov. 19. 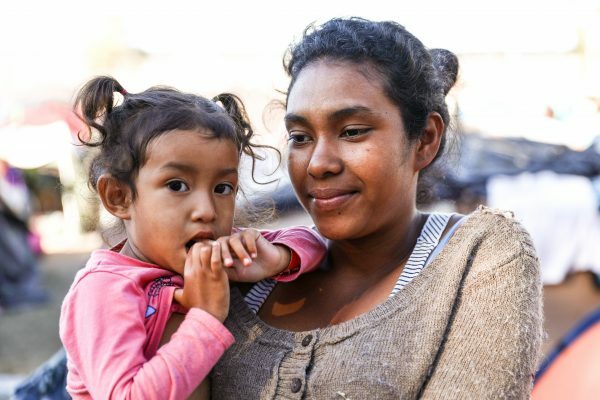 She told the migrants to make sure they submitted an asylum application within a year of getting into the United States, otherwise they would only be eligible for “withholding of removal,” which has far fewer benefits. But, she said, even criminals and previous deportees can obtain withholding of removal status. Cáceres was at Benito Juarez when The Epoch Times spoke to her. She had just been given a tent to sleep in, which has “Abolich ICE” painted on the sides. Before that, she had been sleeping out in the open, enduring the cold and a rainstorm that whipped through several nights earlier. She left four other children at home, aged 11 through 25. Arlen Cruz and her husband were urged to take their 2-year-old daughter, Nayli Rosario, to the protest on Nov. 25. Cruz said her family didn’t rush to the border with the approximately 1,000 migrants on Nov. 25, but instead returned to the camp. She said her husband has four brothers in the United States already. “I want to stay for a while in Mexico, and then, God-willing, to cross,” she said. A month ago, Vice President Mike Pence said intelligence from foreign partners pointed to leftist groups behind the caravans. 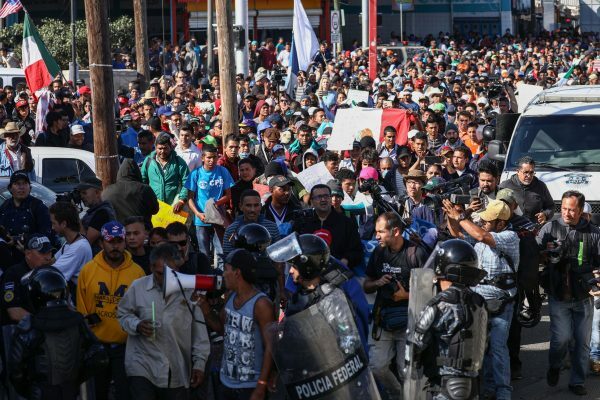 “What the president of Honduras told me is that the caravan was organized by leftist organizations, political activists within Honduras, and he said it was being funded by outside groups, and even from Venezuela,” Pence told Fox News on Oct. 26. A video posted on the Netnoticias.mx Facebook page on Nov. 25, shows a Mexican police officer pleading with migrants not to listen to caravan leaders—who were telling them to put the kids on the front line. The officer continues to say it is “cowardly” to take children to the front lines. 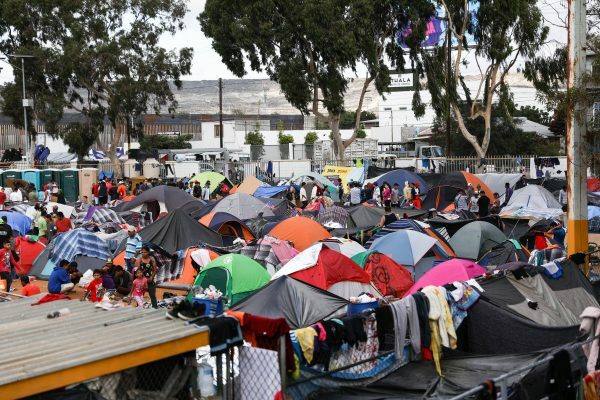 Tijuana Mayor Juan Manuel Gastélum said in a press conference on Nov. 27 that the migrant parents acted irresponsibly on Nov. 25. 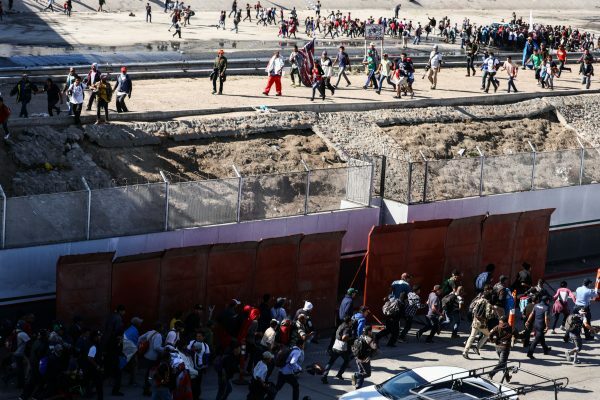 Trevor Loudon, a recognized expert on communist groups and a contributor to The Epoch Times, said the migrants are being exploited by Pueblo Sin Fronteras and other socialist and communist groups that want to dismantle U.S. borders. He said Pueblo Sin Fronteras is run by Emma Lozano, who comes from a very well-known communist party family in Chicago. “I know they played a very active role in encouraging the caravan right from the very beginning,” Loudon said. 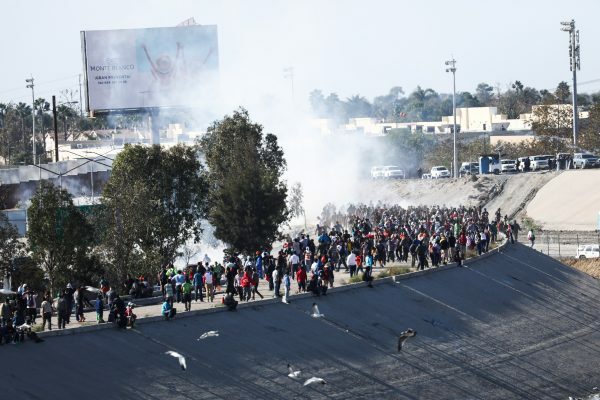 At the migrant camp in Tijuana, where more than 5,150 migrants are crammed into a dusty sports complex, communist propaganda fliers are being distributed. The flier also says the migrants are fleeing “from the society ruled by capitalists,” and blames the United States for the conditions in Central America. Loudon said the groups behind the fliers are trying to unite the migrants by giving them a sense of grievance. In reality, Loudon said, most of the countries in Latin America have Marxist, socialist, ex-guerrilla governments that have allowed gangs and drug cartels to take over. Pueblo Sin Fronteras hasn’t responded to several requests for comment. Several migrants that The Epoch Times spoke to expressed disillusionment and said they may as well be back in Honduras. Abel Noe Ratcliff-Ponce said he thought he’d be able to enter the United States because he has a sick baby at home in Honduras. 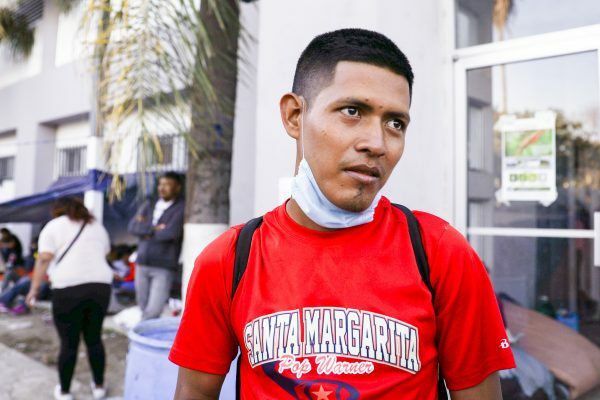 He said he came with his 17-year-old nephew, who has already been taken by caravan organizers to the United States port of entry as an unaccompanied minor. Nielsen said that 90 percent of the caravan members won’t fit the criteria for asylum. Only 9 percent of Central Americans who enter the United States and seek asylum are granted such protections by a federal immigration judge. 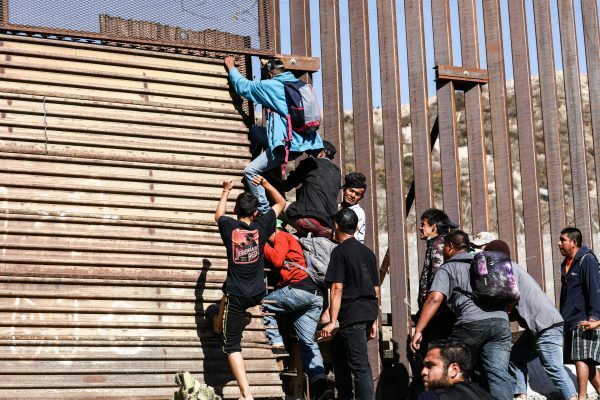 Many of the men in the caravan have said they will not enter the United States legally and apply for asylum. “It’s a waste of time. 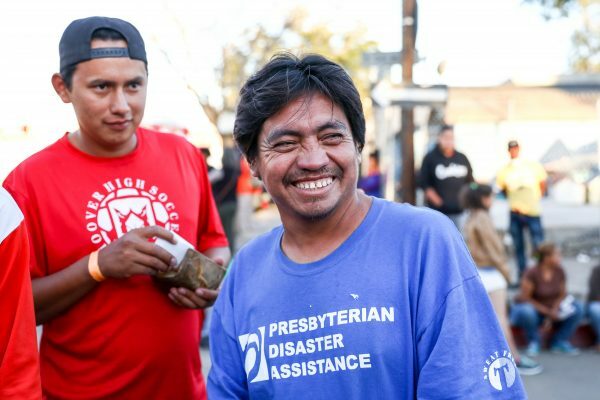 It’s a process that takes months and years—it’s a long time,” said Honduran Marco Gómez, 26. 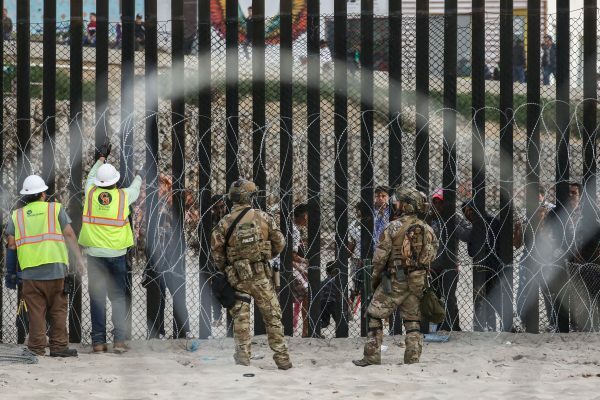 Gómez told The Epoch Times on Nov. 24 that the plan is to wait until an expected 20,000 migrants arrive in Tijuana and then enter the United States en masse. Frank Martinez, who is traveling with his father, said they will cross illegally. “And if it happens again, we can’t make decisions if our partners in the back don’t make that decision. If they decide to have another peaceful demonstration, then it will happen again. If not, then we will continue fighting for asylum,” the leader said. But resolution of the issue is largely dependent on Mexico’s response, which has been mixed so far. “You just don’t come into Mexico when you feel like it, so the Mexicans let this happen,” Loudon said, referring to the caravan being able to cross into Mexico and travel virtually unimpeded to Tijuana. “Mexico thinks it has the right to export its problems into [the United States] and to basically declare war on America by allowing these people to cross its territory, knowing full well what their intention was,” he said. “I think he’s pretending to collaborate with President Trump right now because Trump has really put the hard word on him and is actively closing the border. I think [Obrador] will try and subvert that by any means necessary,” Loudon said. Loudon said he thinks Trump will follow through on his threats to close the border—which will stun Mexico economically—and eventually, the migrants will disperse. “But it’s still providing a big propaganda thing for the left around the world—telling everybody how heartless the American president is—because they’re only getting half the story,” he said. With translations by Ileana Alescio.